Purchase BingoBot & get premium access. BigBingoBot Bingo Cards Bingo Cards Creator BigBingoBot is a solution to make your own bingo cards and use them for educational as well as fun purposes. It is a free bingo card maker. Category: Bingo Cards Product #: 825070 5.0 stars, based on 389 reviews Regular price: $29.99 $0.00 (Sale ends 5 November! ) Available from: BigBingoBot Condition: New Product Try It Available To Use! We believe BigBingoBot has the most features compared to any other Bingo Card generator software on the internet. Create free bingo cards with limited version in minutes. Make your own bingo cards using 3 easy steps. Create/Pick your wordlist, Customize your bingo card, Print the bingo card pdf. Please visit our free bingo cards page to try for yourself. Teachers will find it very useful to create and print bingo cards using thousands of our pre-made activities. Math Bingo cards, English sight words bingo cards and many more. Our algorithm will create each bingo card unique. Teachers can put any activity that they want to teach the kids on a bingo card. Vocabulary lists, letters, numbers, math facts, social studies facts, student names great for first day jitters), famous people -- the choices are endless! Church meetups/other clubs whose one of the regular fun activities are playing bingo, will be able to have a consistent and easy way to generate bingo cards for thousands of seasonal occasions like birthday bingo cards, easter bingo cards,july 4rth bingo cards etc. Friends meeting on weekends for fun or kids playdates can add a new activity to keep themselves and the kids entertained. Print customized free bingo cards using thousands of our fun activities and add spice to your get togethers and playdates, right from the convenience of your home. If you want to go green...you can print upto 4 bingo cards per sheet of page. We offer 3 different sizes of bingo cards with one, two or four per page. You can not only use our existing bingo activities, but create your own activities and save them for use. You can try our limited version for making free bingo cards and enjoy the benefits of our purchased version for a very nominal cost. You can create custom and unique bingo cards with hundreds of our wordlists or create your own wordlist. The only bingo site that offers cool custom fonts and color options to make pretty looking bingo cards for occasions like weddings etc. Using BigBingoBot has made my life so much easier. I can create question/answer bingo on various topics with the glimpse of an eye. 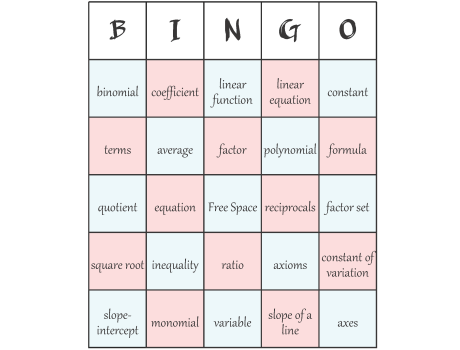 Not only is this free bingo card maker easy to use, it also has thousands of pre-made activities that enhances the kids vocabulary on all topics. - Katherine Davis, 3rd grade teacher. Our monthly church group meet bingo card games have become so much simpler to organize with BigBingoBot. 1,2 and 3 and you are ready with a very professional looking bingo cards. I would highly recommend BigBingoBot. The best thing is that to begin we could try this bingo card maker free but eventually as we needed more cards we bought the lifetime membership and we did not regret a day. Each and every bingo card created by this software is unique so no repetitions. Get started today and create free bingo cards! 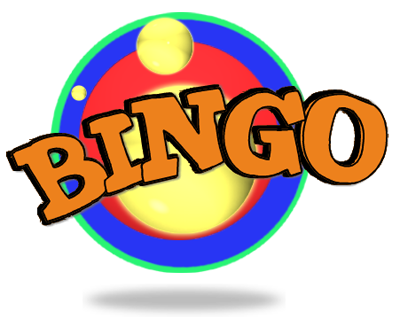 BingBot is committed to bringing you the easiest and fastest solution to printing your bingo cards.